Abbey Total Care Group is one of London's foremost care home companies, with a wealth of experience from a quarter of a century in the business. Our family-run company is hands-on in delivering the highest-possible quality of care and has rapidly expanded because of demand for its services. We now own 11 care homes, with over 500 residents and more than 600 staff. The location of our homes can be viewed here. All residents have a specific care plan and their personal involvement in developing and monitoring each plan is encouraged. In addition residents relatives are also invited to assist in this process. 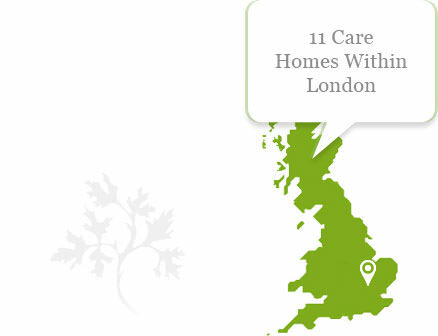 All Abbey Total Care Homes provide for residents with higher dependency needs. The ethos of our Homes is to ensure that individuality is preserved - privacy, dignity and the right to choice are respected at all times in accordance with the Care Standards Act 2000. Our personal and nursing care supports our residents and helps them to feel 'At Home' whilst benefiting from high standards of professional care.